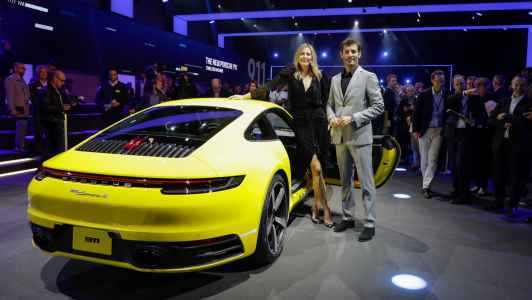 Porsche’s latest Type-992 911 is a digitally-infused tour de force that hits 60mph in a fraction over three seconds flat. Every new 911 is important. Each marks an end of one era and the beginning of another. 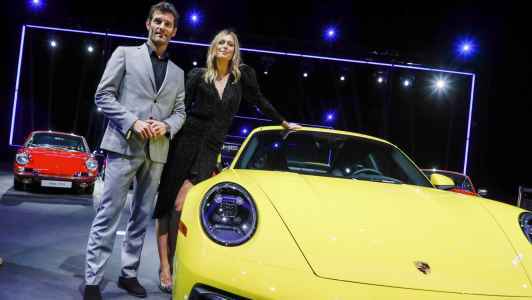 But the latest model revealed at the Los Angeles auto show could prove the most significant yet. 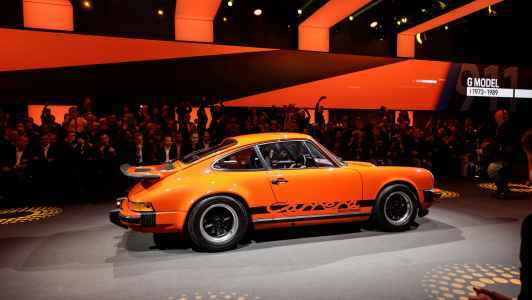 This, ladies and gentlemen, is just possibly the last Porsche to be truly, recognisably ‘911,’ the last to simply hang a flat-six petrol engine out over its rear axle and wrap it all up in an iconic two-plus-two shell. 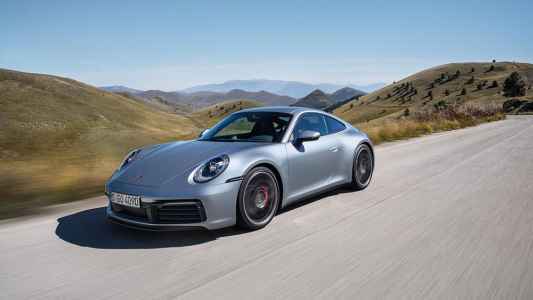 Give it up for the new 992, which in Carrera S format is good for 450hp, hits 60mph in barely more than three seconds and roll on to over 190mph. 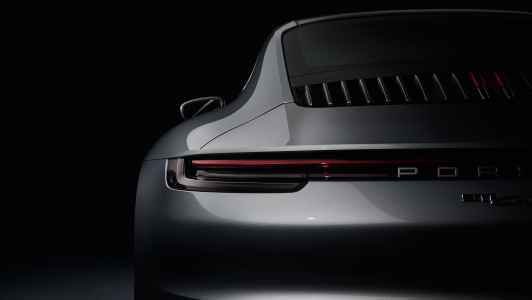 Immediately, it’s obvious just how much more muscular the new 992 is over the outgoing 991 models. 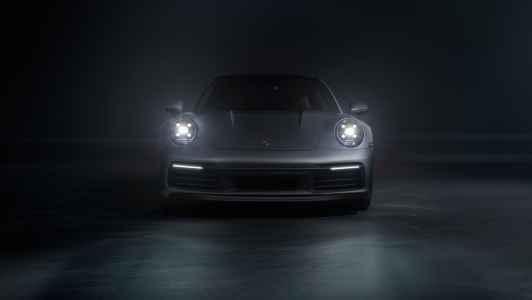 That’s because with the 992 there is no longer any such thing as a narrow body 911. All models come in wide-arched format. The front arch bulges are now particularly conspicuous. 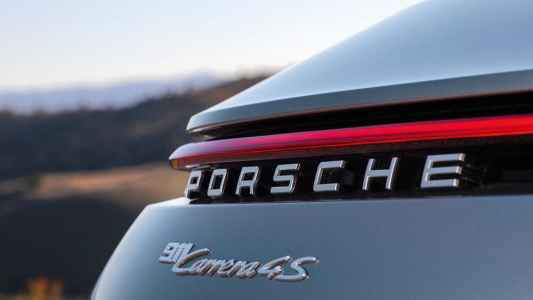 Across the bow, the 992 is not only fully 45mm wider than the outgoing 991 Carrera, but also wider than any previous 911, including GT and RS models. 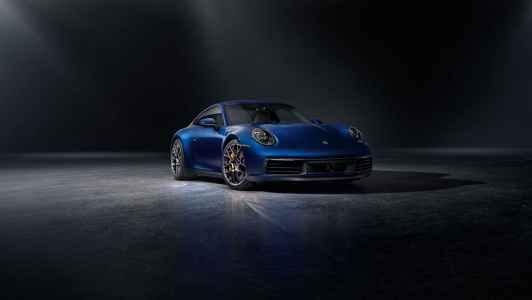 As for what fills those arches, the 992 takes its lead from 991 RS models. 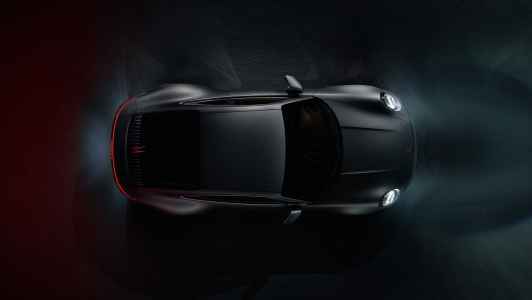 The 992 Carrera S sports staggered diameter wheels, with 20 inchers up front and huge 21-inch rims at the rear. 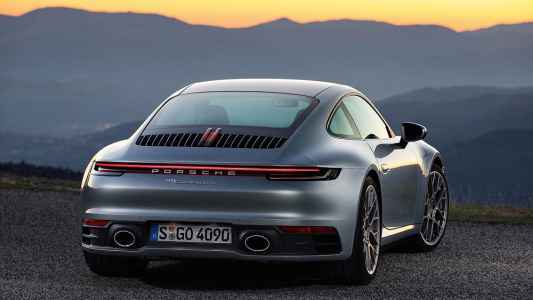 For the record, the 992’s wheelbase is yet again extended over the 991 generation. Further styling renovations up front include a bonnet recess that evokes that of early air-cooled 911s, as does the almost unbroken shutline right across the join between the bumper and the front wings and bonnet. 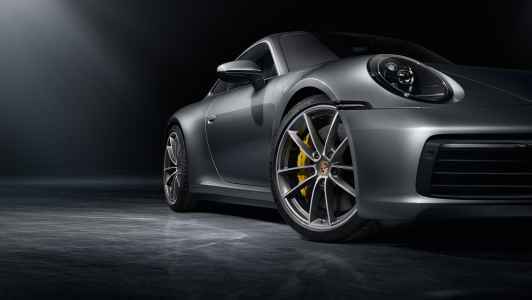 It replaces the complex series of joins and panel gaps of the 997 and 991 generations. Moving back, the 991’s door handle loops have been replaced by flushfitting Tesla-style pop-out items. 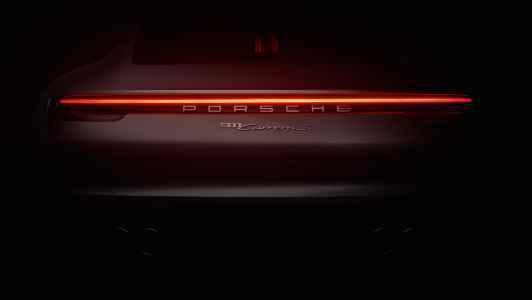 At the rear, visuals are dominated by a new seamless full-width LED light bar, something of a Porsche styling signature of late. Atop the new light cluster is a much broader variable-position spoiler. All exterior panels are now aluminium for further weight savings over the already pretty parsimonious 991 model. 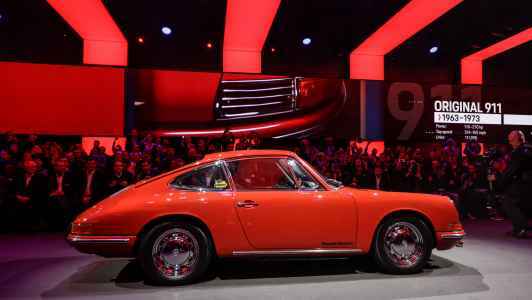 Inside, the latest 911 is clearly inspired by the very earliest air-cooled models. The instrument cowl is particularly redolent of the air-cooled era. 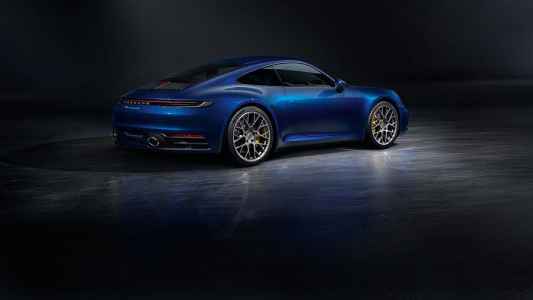 To that, of course, the 992 adds a very modern twist. The central rev counter remains an analogue affair. It’s flanked by a pair of frameless, floating high definition displays that offer numerous configuration options. Those screens are augmented by the central dash-mounted PCM display, now 10.9 inches across and sporting a new, more intuitive user interface and added functionality including navigation with so-called ‘swarm’ data for improved traffic info. 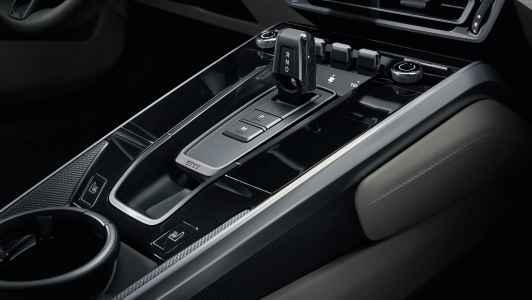 While we’re talking digital features, the 992 is the first 911 to offer a wide range of driver aids. 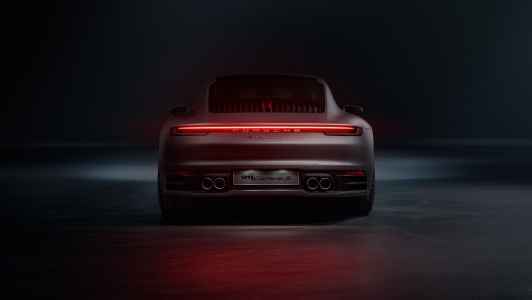 Highlights include adaptive cruise control complete with automatic distance control and stop-and-go capability, while a new ‘Wet’ mode in Porsche’s PSM stability control programme relies in part upon acoustic sensors in the wheel arches. Another high-tech option is a new thermal imaging system called Night Vision Assist. 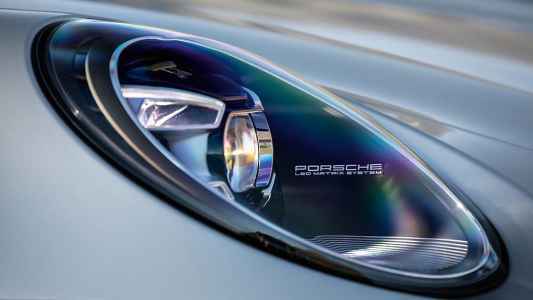 But what, you ask, of the stuff that really matters, the bits that make the new 992 go? 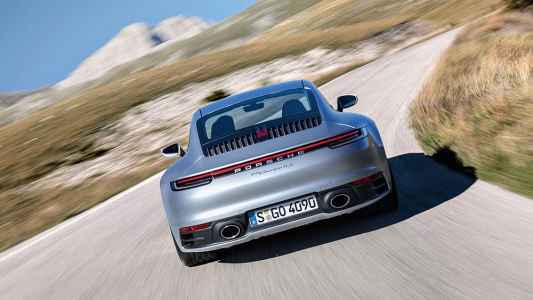 Slung behind the rear axle in traditional 911 style is a revised version of the 3.0-litre twin-turbo flat six from the previous generation. 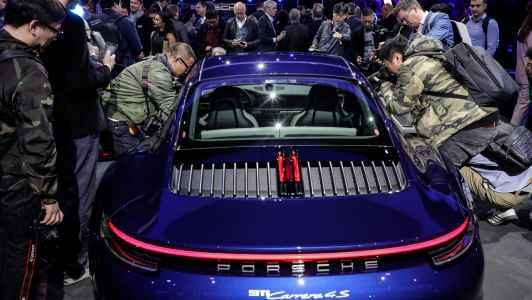 Porsche says efficiency has been increased thanks to an improved direct fuel injection process, while the installation of the turbochargers and charge cooling system has been tweaked. 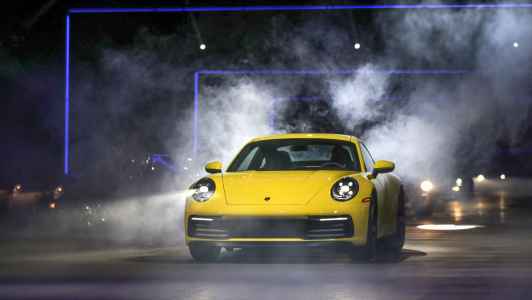 All told, power for the Carrera S model is up 30hp to fully 450hp. 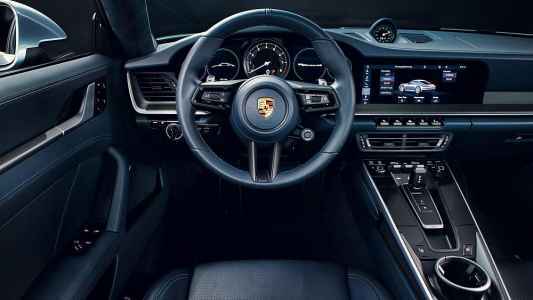 At launch power is transmitted to the rear wheels via a new eight-speed iteration of the smashhit PDK dual-clutch gearbox. Critically, the new ’box supports the integration of hybrid power. 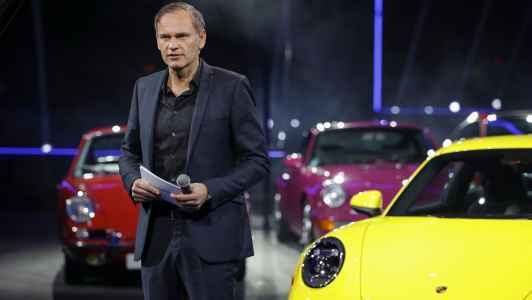 But that won’t feature until the 992 receives a facelift for the 2023 model year. 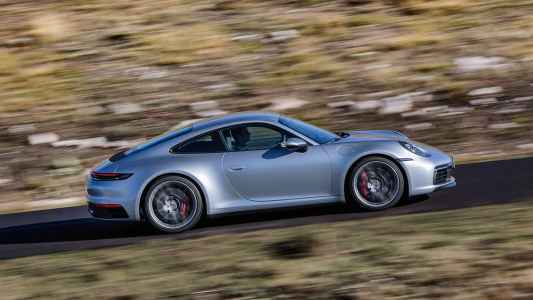 Thus configured, the Carrera S coupe is good for 191mph and hits 62mph in 3.7 seconds. The all-wheel drive 4S model shaves another tenth off that time and adding Sport Chrono reduces that by a further two tenths. 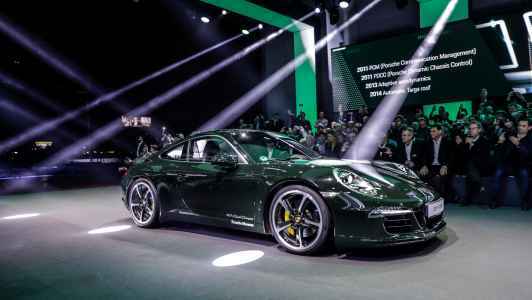 Take another tenth or so off for the sprint to just 60mph and you have a standard issue 911 that’ll hit the 60mph benchmark is nearly three seconds flat. Fuel consumption according to the old NEDC metric is 31.7mpg, while the CO2 output is pegged at 206g/km. While all of those numbers look good, the one demerit appears to be mass. 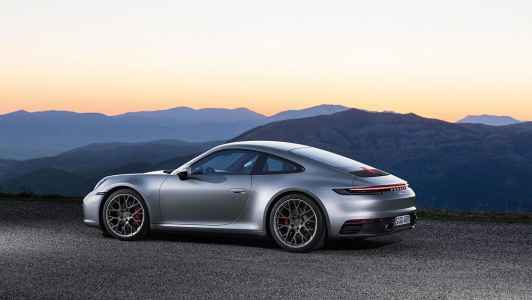 The new 992 is around 55kg heavier than its predecessor. 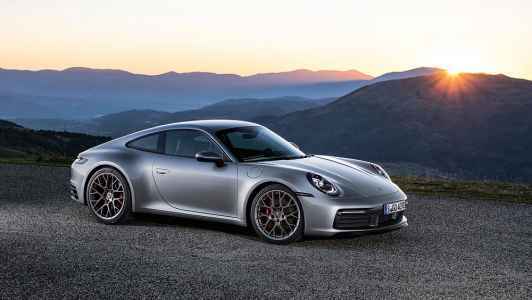 For now, Porsche is only announcing PDK-equipped Carrera S models, with a starting price in the UK of £93,110. 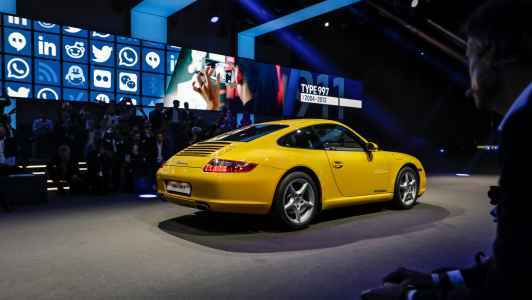 The standard Carrera and models offering a seven-speed manual gearbox are expected to follow shortly. 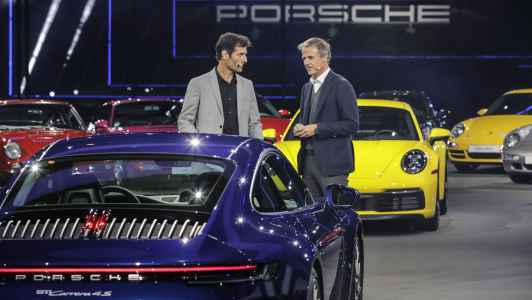 New 992 is plain bigger than the outgoing 991 and widest 911 yet. Note front wheel arch extensions, which hark back to 930 Turbo. Wheels are staggered 20in at front and 21in at rear. 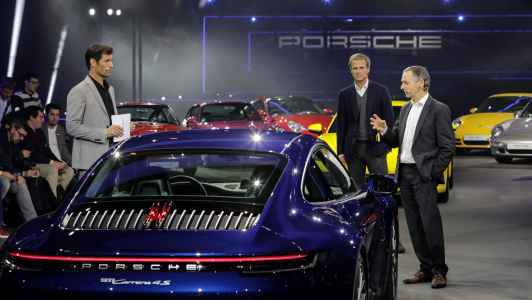 The S models have been launched first with 450bhp and PDK only, as yet. On board tech is vast.